All transactions are safe and secure with a reliable history in online purchasing behind each of our associates. 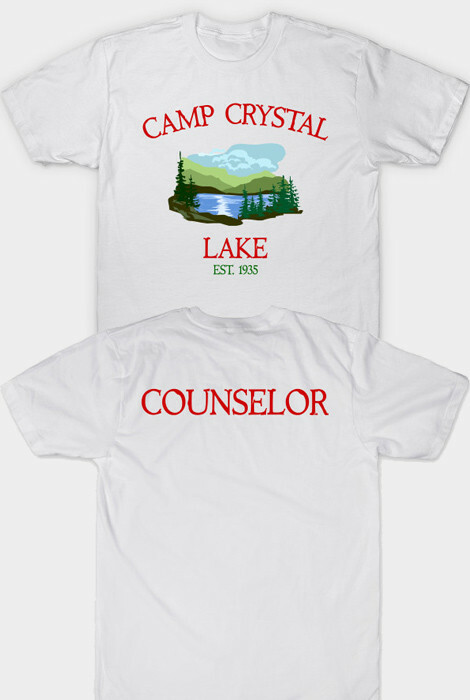 Buy Friday the 13th t-shirts like the Jason Voorhees hockey mask t-shirt & the Camp Crystal Lake tees. 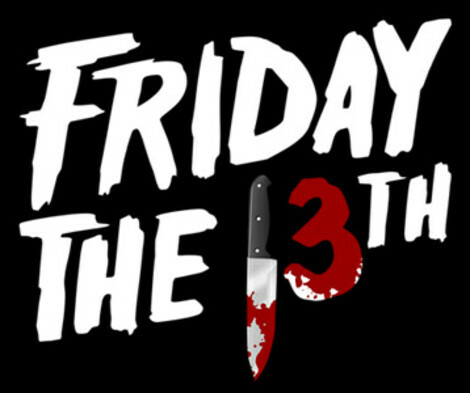 Despite being generally panned by critics, the horror movie Friday the 13th was a success at the box office, spawning a franchise of sequels. 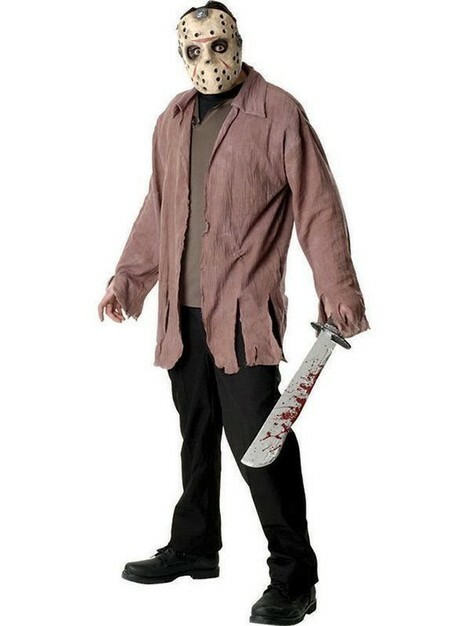 Most people forget that the franchise's well-known villain, Jason Voorhees, isn't the killer in the original film. 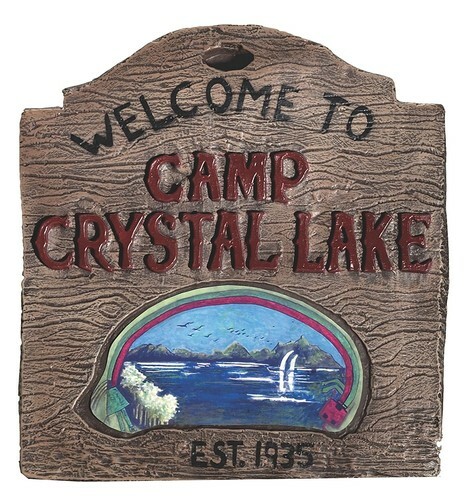 Despite this fact, Jason and his hockey mask (which didn't appear until part 3) have become a symbol for the Friday the 13th movies. 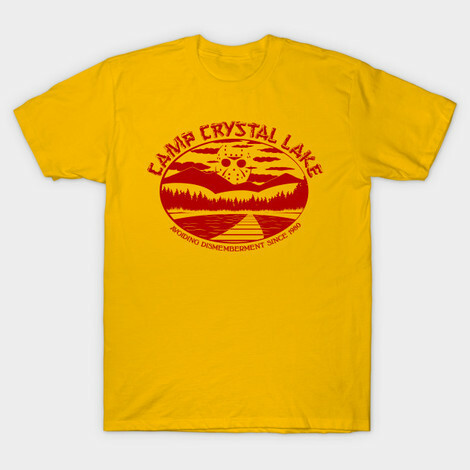 Below, we present a gallery of Friday the 13th t-shirts, including the hockey mask Jason Voorhees t-shirt and the Camp Crystal Lake Friday the 13th t-shirt. 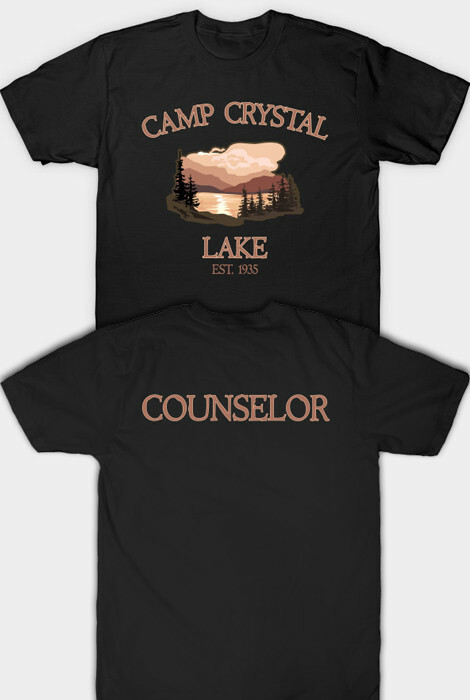 Browse the gallery for related merchandise, including campground signs, the Jason Voorhees hockey mask and complete Friday the 13th costumes. 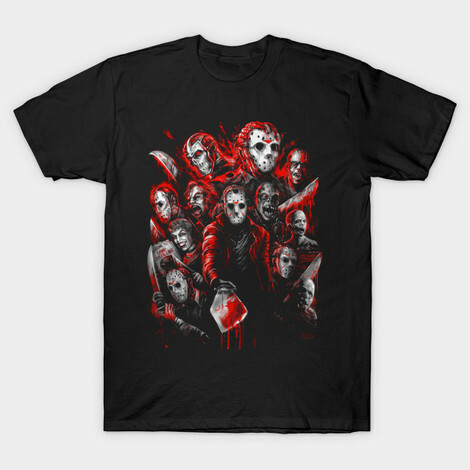 Own a Jason machete. 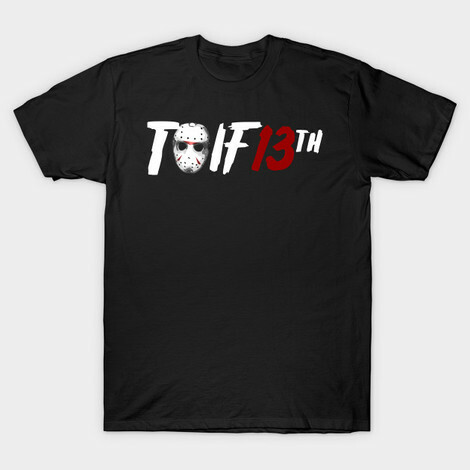 Description: The design on the front of this tee displays Jason from the Friday the 13th movies jumping for joy because his favorite day of the year has arrived. 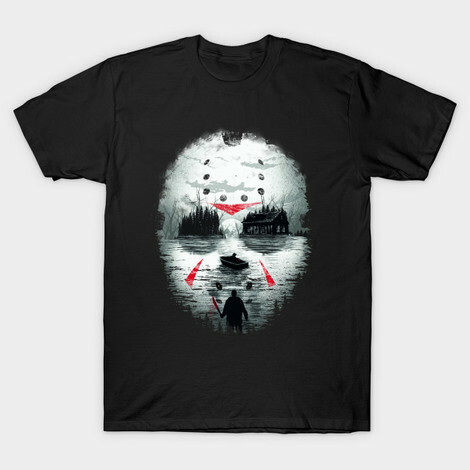 He's celebrating with his axe and machete that he's holding up in the air on the front of this Jason Voorhees t-shirt. It will immediately remind others of the lakeside killer who doesn't discriminate. 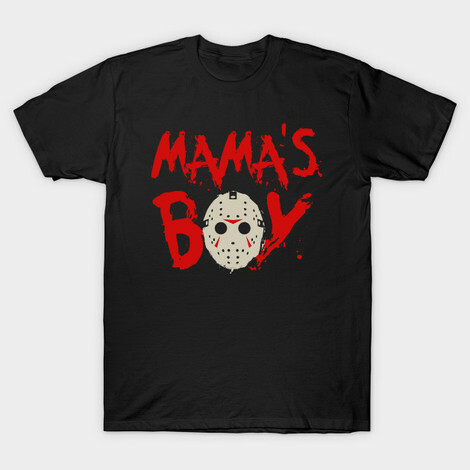 Horror movie fans should note that this design can also be purchased on a Friday the 13th sweatshirt or hoodie. Link to: It's Friday!